As a photographer, it is a tremendous honour to be invited to memorialize this very special occasion. Every wedding is unique. 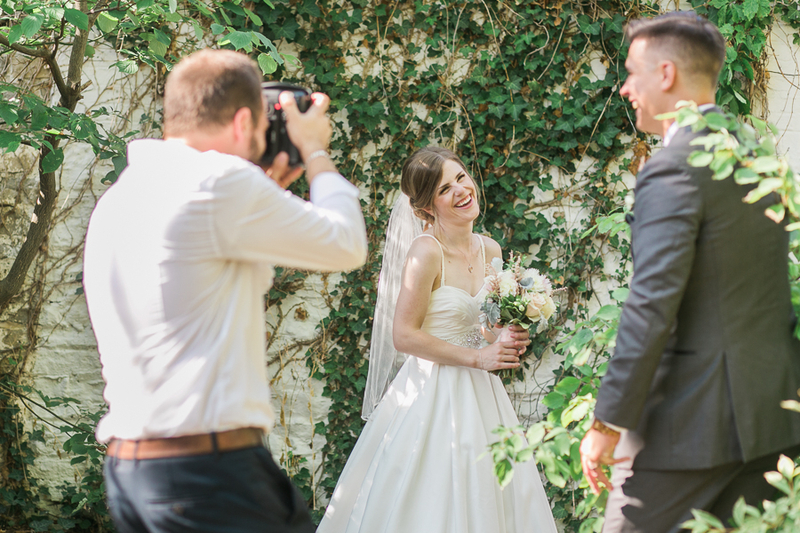 From the quiet moments when a father offers an encouraging word to his daughter before the ceremony to the romantic first dance, the story of your day will be captured with an artful eye. I take great pride in capturing the countless precious moments that make up your wedding day. I see myself as part of the community of family and friends who are coming together to make your day the best it can be. As such, I do my best to get to know you and your unique needs so that each moment of your day receives the attention it deserves. I am based out of Niagara’s wine country but photograph couples on their big day all around the world. I believe that wedding photography is not just about taking a great picture but it's about getting to know the couple in that beautiful photo. Whether it is hanging out with them at a coffee shop talking about their wedding, or becoming friends with them while we hit up a Blue Jays game in Toronto, getting to know my couples on a personal level always delivers the best results for their wedding images.